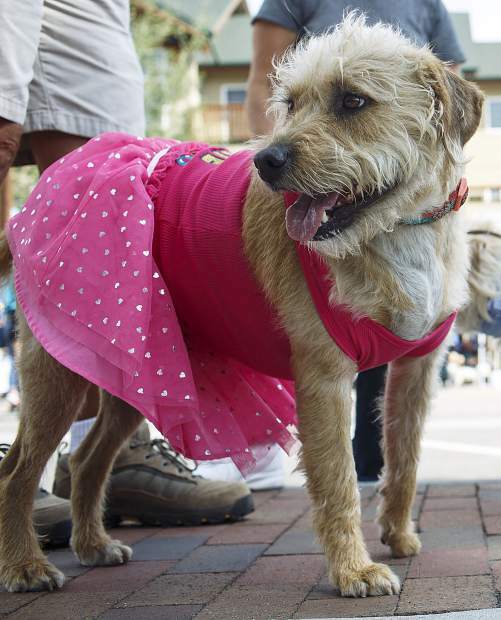 Izzy, a Jack Russell mix breed in a costume, participates in the Canine 4K race on Frisco's Main Street Saturday, Aug. 5. 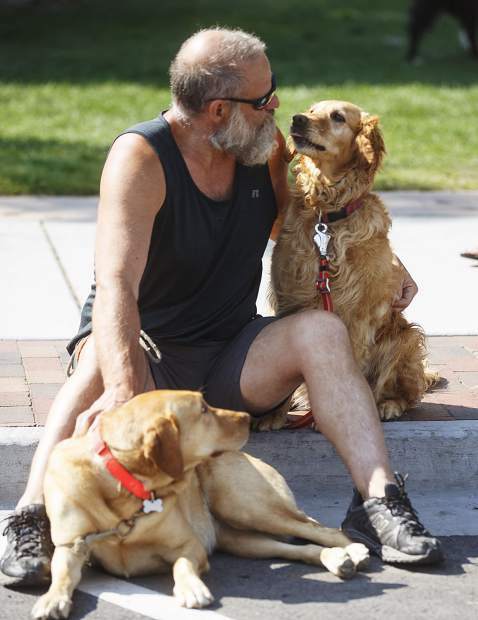 Canine 4K participants interact with each other following the race on Frisco's Main Street, Saturday. 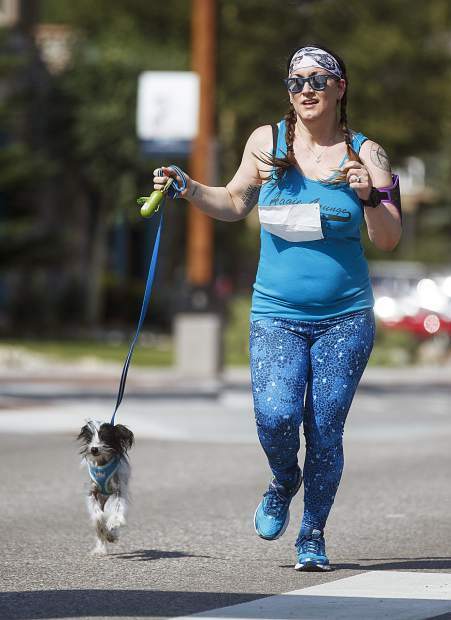 Darby, who was adopted from the local animal shelter by her owners, participates in the Canine 4K race on Frisco's Main Street, Saturday. 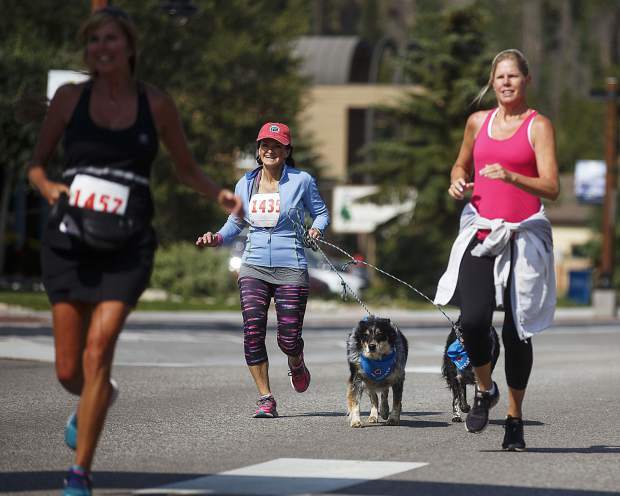 Canine 4K participants jog the last stretch of the race on Frisco's Main Street Saturday. 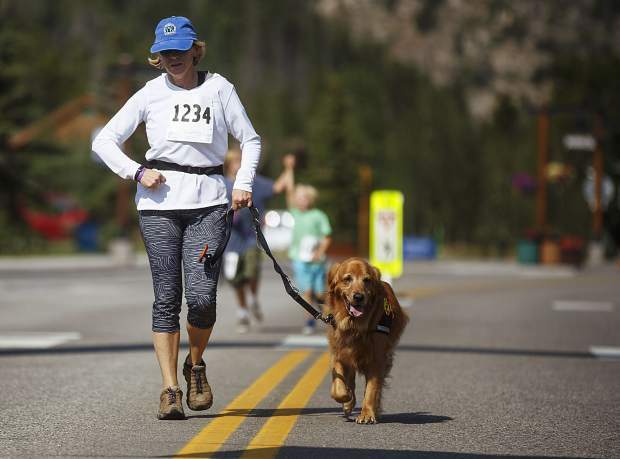 Canine 4K participants jog the last stretch of the race on Frisco's Main Street, Saturday. 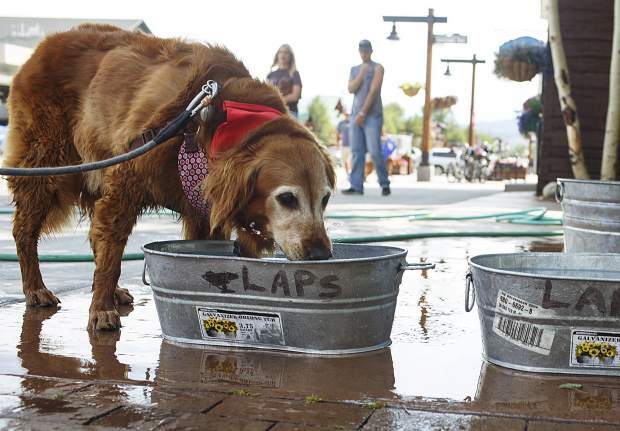 Canine 4K participant rehydrates following the race on Frisco's Main Street, Saturday. Several dozen furry friends and their owners ran side by side for 4 kilometers in the town of Frisco on Saturday morning. 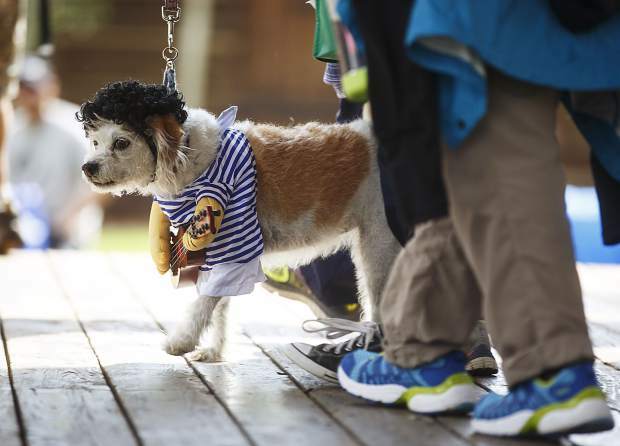 The 26th annual race, hosted by the League for Animals and People of the Summit, was a fundraiser for the nonprofit organization that works to reduce pet overpopulation through spay and neuter programs and to benefit the general welfare of companion animals and families. 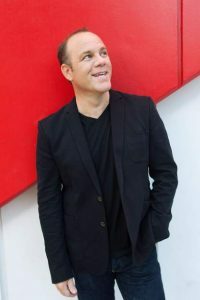 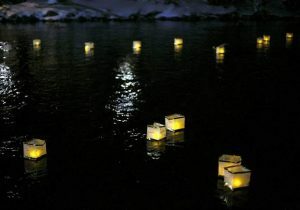 For more information on the nonrpofit and upcoming events visit SummitLAPS.com.